Home > 2017 > Event > DARTSLIVE OPEN > DARTSLIVE OPEN 2017 USA's Website is now live! This year's main event is a 4-person Team Bring featuring $40,000 in prize pay outs. 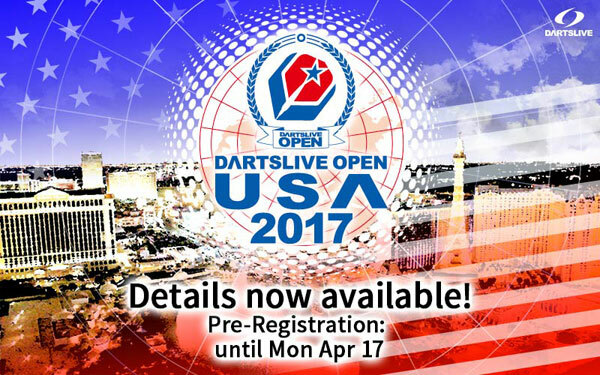 Check out the link below for all information regarding DARTSLIVE OPEN 2017 USA. Pre-Registration Period is 3/17/17 (Friday) - 4/17/17 (Monday). Sign up today!